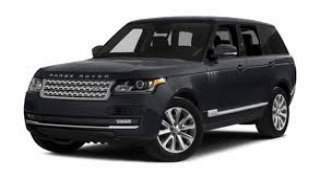 Range Rover have been creating stunning, luxurious vehicles for many years. The latest long wheelbase Autobiography is definitely no different. 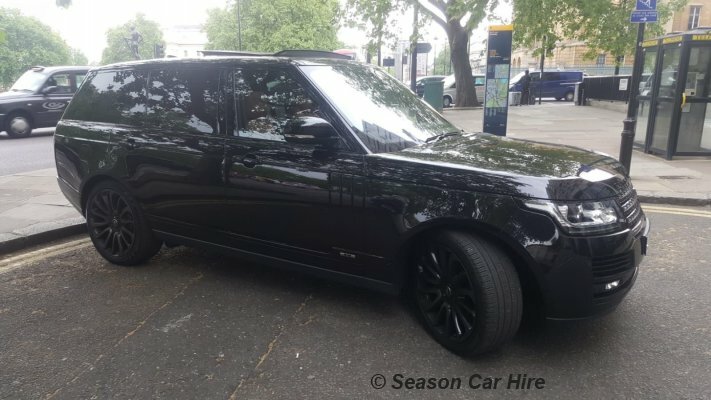 A Range Rover Vogue LWB hire car from us, Season Car Hire will give you the ability to sample the best that Range Rover can offer. With its three classic lines of the lower accent graphic, floating roofline and continuous waistline, the Range Rover is unmistakable. The iconic silhouette is gently tapered and curved which accentuates the roof, which enhances its streamlined, elegant form. A fresh and contemporary appearance crafted with precise and key details by Range Rover is what creates the distinctive character. 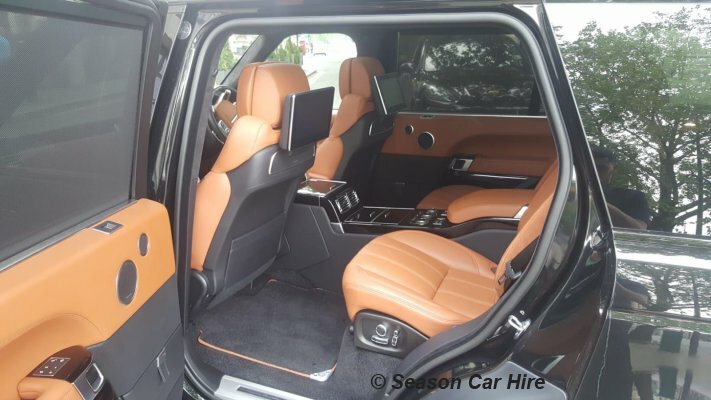 The Vogue LWB has the comforts of the original Vogue; leather seats, dashboard finish and wood veneer which all show Range Rover's high quality. The interior gives a sense of calm, indulgence and luxury comfort.The broad centre console and the new wide format touch screen puts essential and intuitive controls within easy reach. 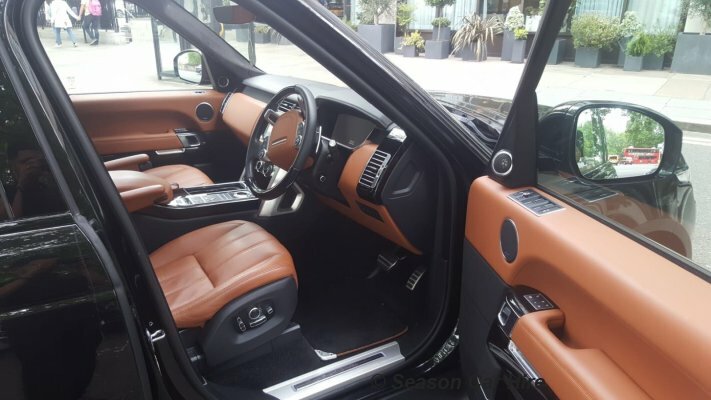 The Range Rover long wheelbase features semi-aniline leather with high-grade hide which was selected for their beautiful suppleness and natural appearance. 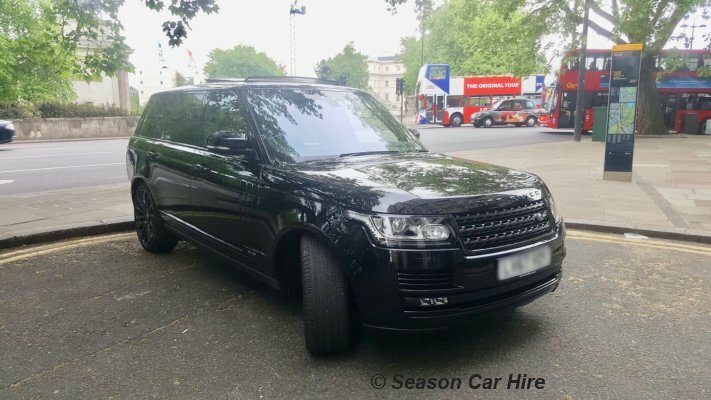 If you choose to hire our delightful Range Rover with one of our superbly trained chauffeurs, we can guarantee you will be more than happy to sit in the back.This SUV is fully suited to long distance touring.The Range Rover Vogue long wheelbase has impressive rear legroom. The seats also have 'aeroplane' style reclining seats with calf rests also, a little something to make those long journeys pleasurable and easy going. The split tailgate also offers sitting space for outside events also. 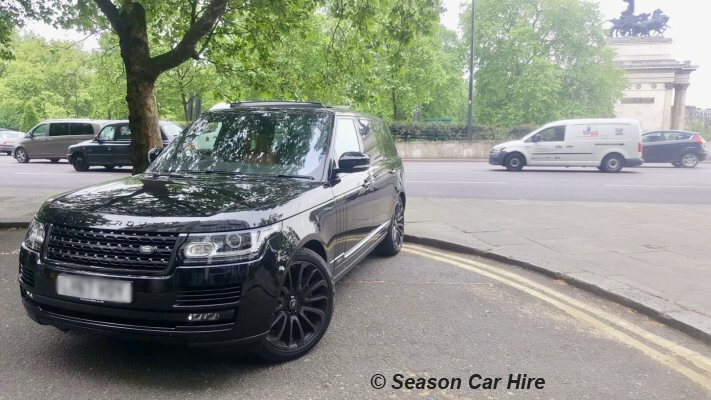 When you hire our ravishing Range Rover Long Wheel Base you will be driven by a powerful supercharged engine which is capable of 0-60mph in a minimal 5.1 seconds. What could be better than travelling in comfort, style and speed? The Range Rover has the power and agility to match its distinctive exterior. 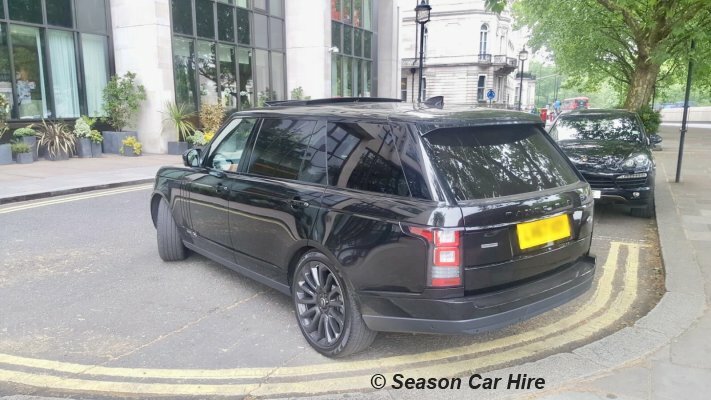 You won't be sorry that you chose a Range Rover Vogue LWB to hire car from Season Car Hire for your next adventure. 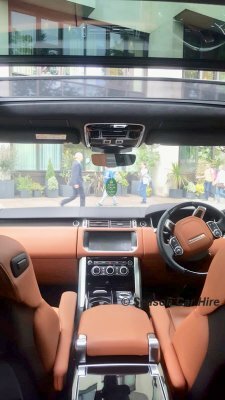 Our LWB Range Rovers are available to collect from our London Office which is located conveniently at 45 Hertford Street Mayfair. Please note price has 100 miles per day, additional miles can be purchased. What is needed to rent a Range Rover Vogue LWB? A security deposit of £2000 is required via debit or credit card.